Christmas will be here before we know - only one more month when this blog is posted! 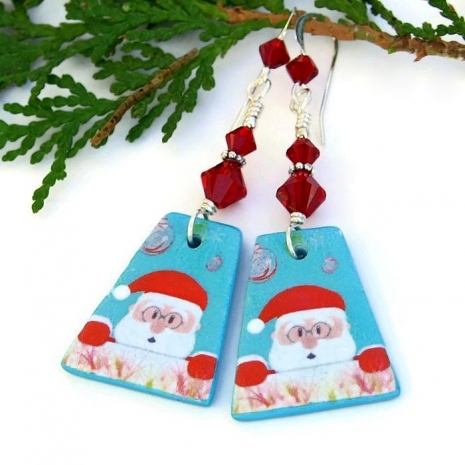 To help women get in the holiday spirit, my Shadow Dog Designs jewelry shop offers a wide range of Christmas earrings. All of the earrings are carefully handmade by me and some, but not all, are one of a kind designs. The earrings range from Santa inspired, snowmen, ornaments and various others made with artisan lampwork beads. Many include Swarovski crystals for that holiday sparkle! Each and every design is perfect for gift giving . . . or to keep for yourself. And, even better, shipping is FREE through January 2, 2018 (U.S. only).